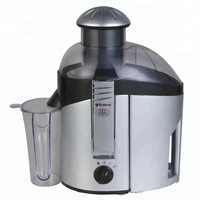 2 Juice extractor for all kinds of fruits and vegetable. 3 Pure copper motor,SUS304 net, AS and ABS housing. Our factory covers an area of 1.5 million square meters, with four 60cm*3500cm international standard automatic flow production line and more than 280 workers, we sincerely hope cooperate with your esteemed company in the coming days. Your inquiry of our kitchen appliances will be replied within 24 hours. We will provide you with newest quotation and the specific product specifications. Good quality product, quick delivery time, competitive price, strong packing. We have good translations, enthusiastic sales and service who can speak fluently in English. We offer OEM services. Can print your logo on product, can customize the packing and other things. 6 Our engineers have R&D experiences and have strong ability to do ODM projects. 7 Every kitchen appliances will be checked well in order to ensure the high quality. 8 Provide detailed products test report. Updated the shipping information as soon as possible. 2 Ensure the kitchen appliances delivery on time. When the details (Quantity,Color,Product Standard,Package,Payment Term ,Price, Inspection Standard,ETD) confirmed, we will issue the PI or Sales contract for your reference and pls check and sign back. Against the payment, we will start the material preparation and production. When the products will be ready for inspection or shipment, we will inform you in advance for shipment booking. to realize our mutual benefits.